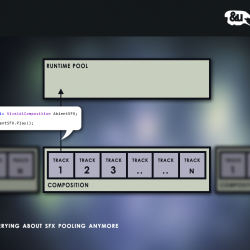 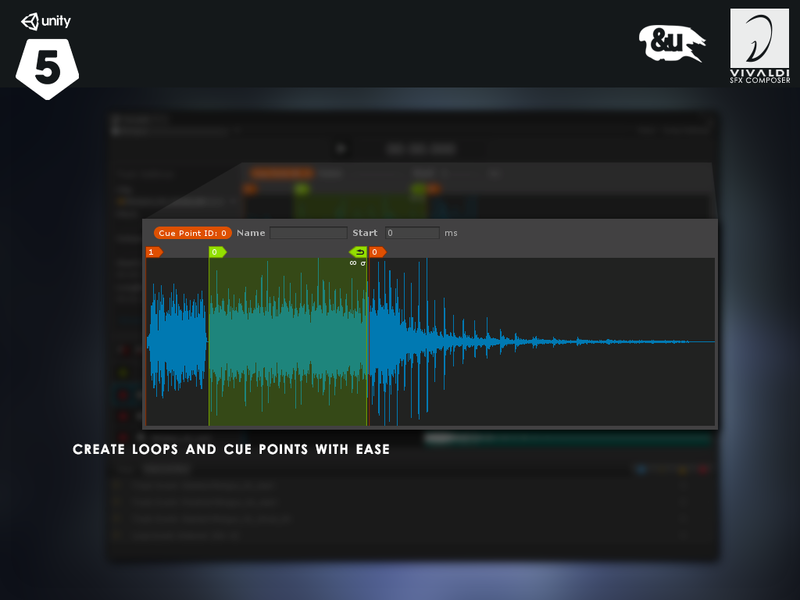 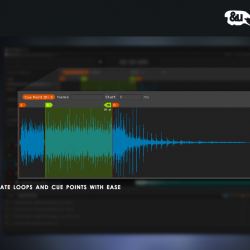 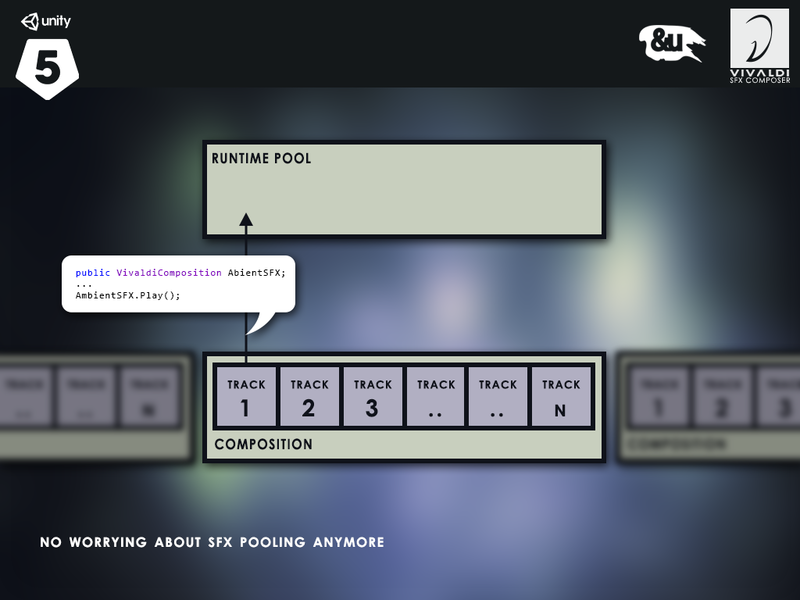 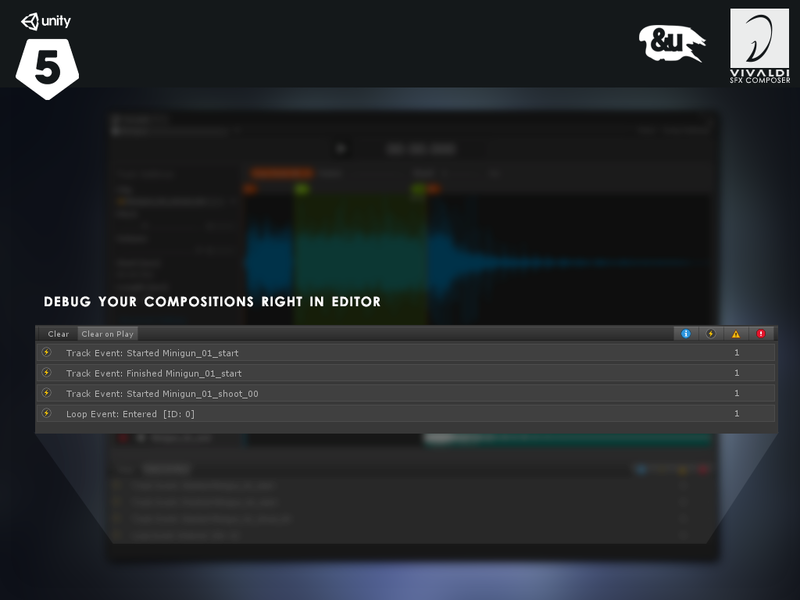 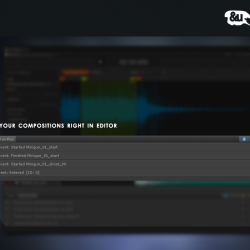 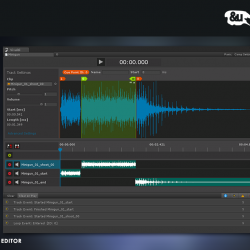 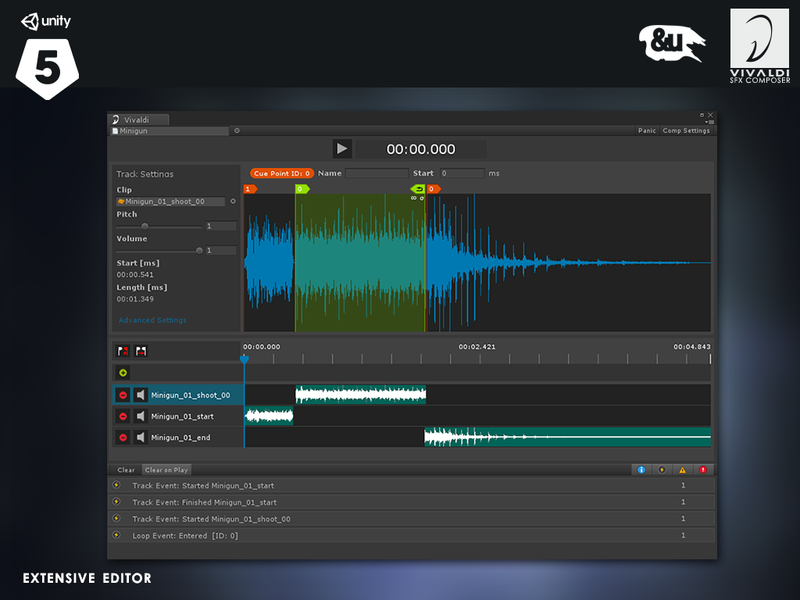 Vivaldi comes with a built-in pooling system, so you don't have to worry about pooling of your sound effects. 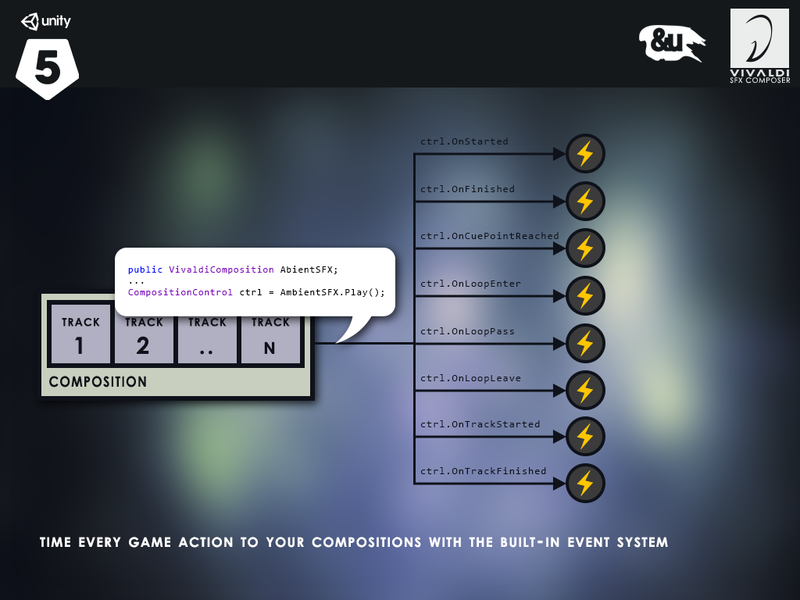 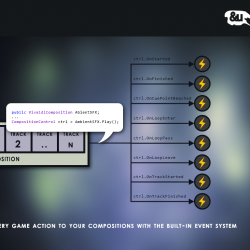 Sync your game actions to cue points and/or loops manually placed within the editor. 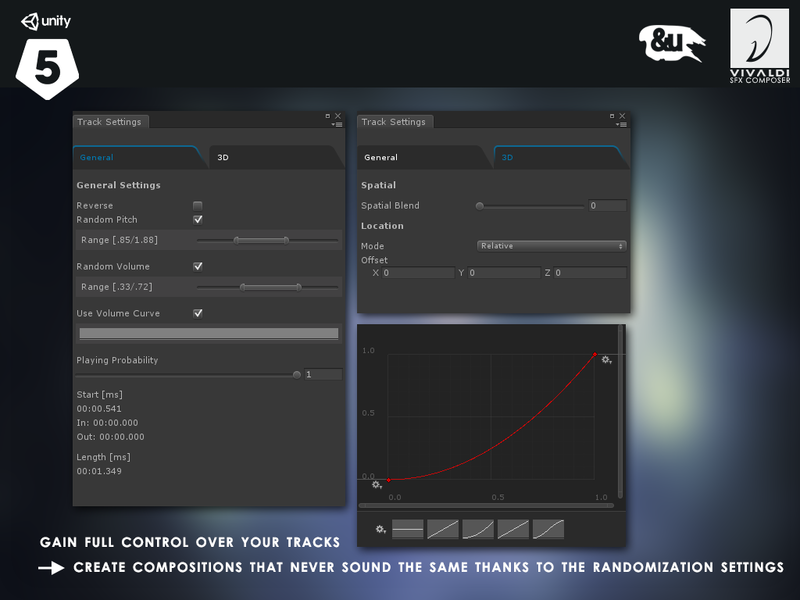 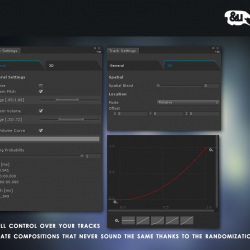 Completely randomize your compositions, so that they never sound the same.